As we all take a breath on the first Monday following the latest ICE Totally Gaming conference at Excel in London, I have been reflecting on what was new and exciting at this year's show. This was my 7th ICE as a Founder of EyeSpy Recruitment, and it has historically been an exceptional industry barometer for areas of growth and tech innovation. Following 2018's show, my conclusion this year is rather rapid and unequivocal…blockchain technology and cryptocurrencies. The market implications of blockchain technology in light of the bitcoin boom in 2017 was one of the key talking points amongst senior executives in the industry. The rise of bitcoin and Initial Coin Offerings (ICOs) highlights how transformative the underpinning blockchain technology will be across sectors, with online gaming, financial services and capital markets at the front of the queue. Among the many seminars available, interested visitors to the show listened to a panel of gaming executives who were at various stages of ICOs, or 'token sales', as lawyers apparently prefer to use, to describe the critical fundraising life cycle stage of a crypto business. One company which really stood out in this entrepreneurial group was casino B2B platform, FunFair Technologies. 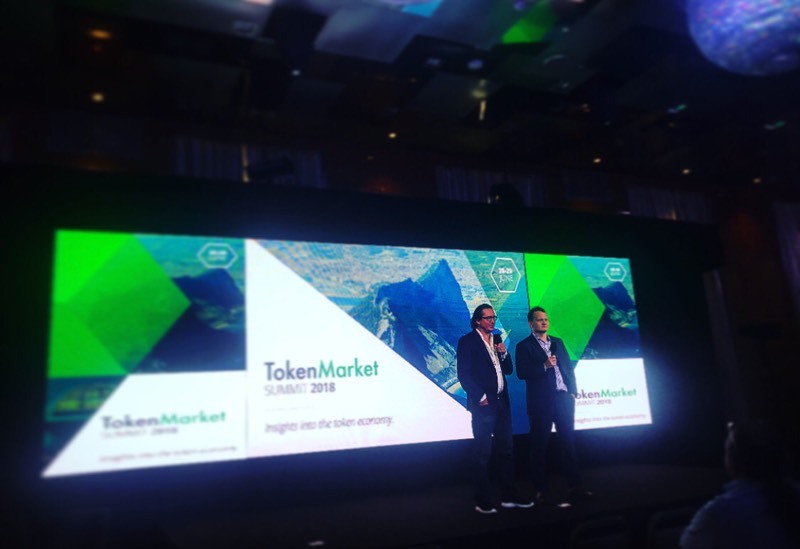 Founded by Jez San, Oliver Hopton and Jeremy Langley, the start-up had its Phase 1 Token Presale in June 2017, and raised an incredible $26 million, selling out in 4 hours. A report published by Credit Suisse on 11 January (Blockchain 2.0), largely supports the belief blockchain technology and cryptocurrencies is a way of driving increased adoption of online gambling, rather than as representing a significant threat to incumbent players. In this report, Credit Suisse lists four key reasons why entrepreneurs such as Jez San have found the world of gaming to be such fertile soil for the implementation of blockchain technology. Anonymity – the report states demand for anonymous gambling is evident in the relatively high usage of pre-paid cards – such as the paysafecard – on gambling websites and in consumer behaviour surveys. Gambling with cryptocurrencies – as opposed to fiat money – can currently be conducted without the need to provide identification documents, or in some cases, without the need to create an account. Lower transaction costs – As well as anonymity, the existing infrastructure of blockchain networks offers users the opportunity to carry out (near-instant) deposits and withdrawals at very low transaction costs. In more sensitive regulatory environments, this can be a key driver of adoption. Regulatory uncertainty – Cryptocurrencies are not recognized as legal currency by many countries and most jurisdictions do not have explicit regulation either approving or banning casinos built on blockchain technology. As such, many online forums appear to consider bitcoin casinos in the US (a black market for online gaming outside of the few states in which it is regulated) as “grey”, driving adoption. 'Provably fair' – Existing online casino games are largely executed on private servers using black box codes and require a level of trust to be built between player and casino operator. Smart contracts, however, are fully decentralized and in theory 'provably fair', giving the player total insight into the code that determined her bet’s success or failure. Despite the apparent volatility of some cryptocurrencies and the general confusion most still hold over the intricacies of crypto and blockchain (myself included), I think there is little doubt over the agreed potential they have to profoundly impact our industry. It's incredibly exciting to see Gibraltar follow suit to Malta in January, and introduce a regulatory framework for crypto businesses seeking a licence. We are certainly looking forward to continuing our support of the sector's development by helping start-up's in London, Malta and Gibraltar recruit the right people to realise their visions! EyeSpy Recruitment places Chief Commercial Officer as part of their Executive Search and Selection. Pragmatic Play has strengthened its executive team with the appointment of Melissa Summerfield as Chief Commercial Officer. Summerfield was previously at Microgaming for a year and a half, where she served as VP of operations for Gibraltar, Spain and Latin America, holding responsibility for commercial strategy and operational growth. Our executive search facility is a targeted service, used specifically to approach senior professionals who are not readily available via contingency recruitment. Get in contact with us for further information. 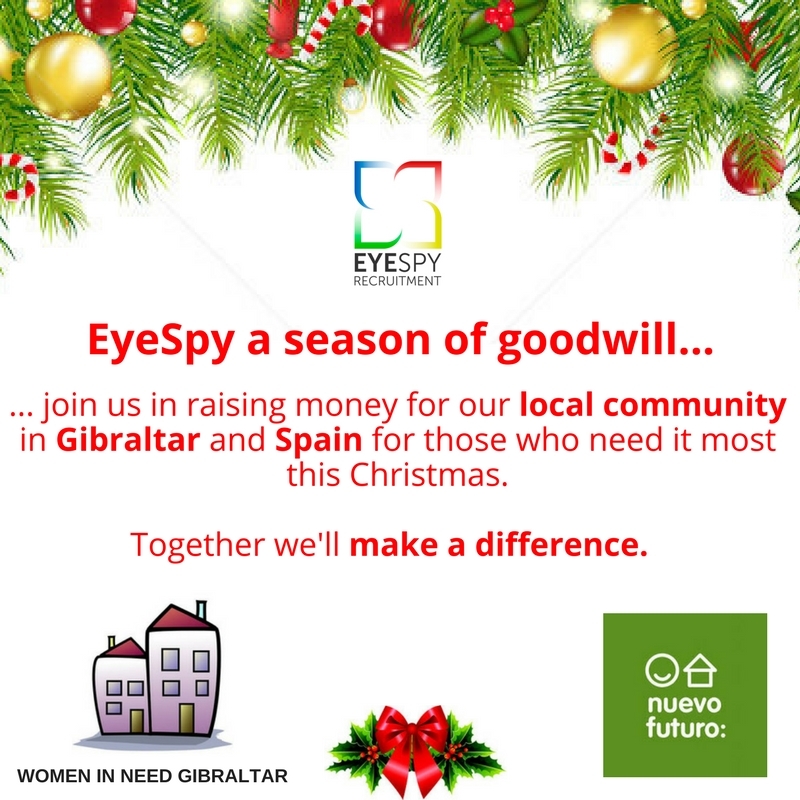 Here at EyeSpy, we want to give back to the local community this Christmas. The festive period, with all its frivolity, can sometimes be a challenging time of year for those less fortunate and in need. We have found two local charities that will really benefit from our help and we are on a mission to make a difference! Here in Gibraltar, we are raising money for Women in Need; an amazing self-funded charity supporting victims of domestic violence. For as little as £10 you can buy someone the gift of a Christmas Day dinner, and for £1,000 we can an buy all of those currently sheltered by the charity (including dozens of children), dinner and a gift to unwrap on Christmas Day. Just across the border in La Linea, we also want to give the gift of Christmas to Nuevo Futuro; a children's orphanage, helping children in need in the local area. For £1,000 we can help furnish a new house for children that need it most! 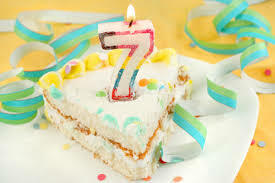 7 years ago, our founders, Emma and Jo, came to together to build a recruitment agency that would put honesty, trust and integrity at the core of their business. Along with the rest of the team, they have built a reputation based on the will to succeed and the desire to provide the very best service. The EGR B2B Awards, now in its seventh year, continue to reward and celebrate the very best service providers in the online gaming industry, recognising the achievements of suppliers from across all the major egaming disciplines including betting and gaming software, networks, mobile, payments, recruitment, IT and infrastructure. 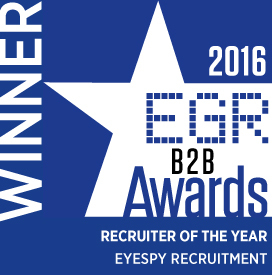 Jo Sykes, Founder and Director of Talent and Acquisition commented: “Winning ‘Recruiter of the Year’ is a real honour and very reflective of the hard work and dedication that has been shown by the entire team here at EyeSpy. We are excited by our future and will continue to provide our successful executive head-hunting, contingency and contract recruitment across the iGaming industry”. Emma Clayton-Wright Founder and Managing Director added “We are absolutely delighted to be recognised alongside such prestigious names within the industry. We have worked tirelessly to grow EyeSpy to be a reputable, high profile and customer-centric business within the iGaming industry and are looking forward to continuing to grow our services and reputation”.